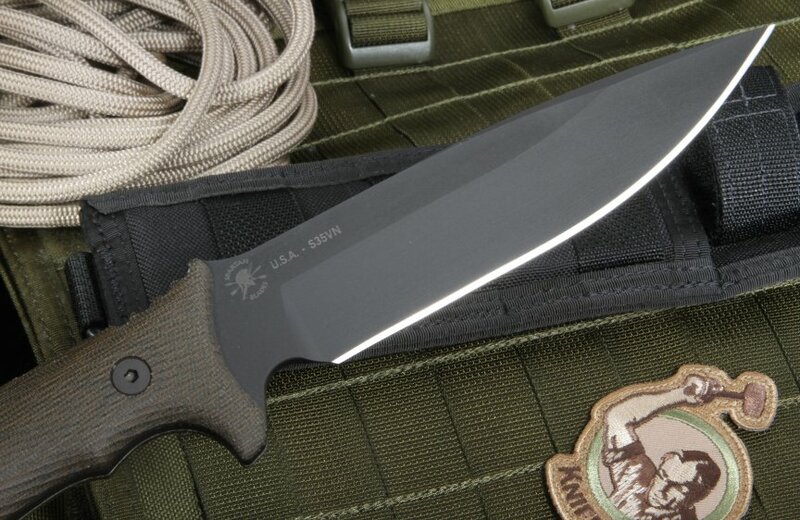 The Spartan Blades Difensa is a fixed blade knife with a 3D machined handle that was designed for Canadian Special Forces by Bill Harsey. 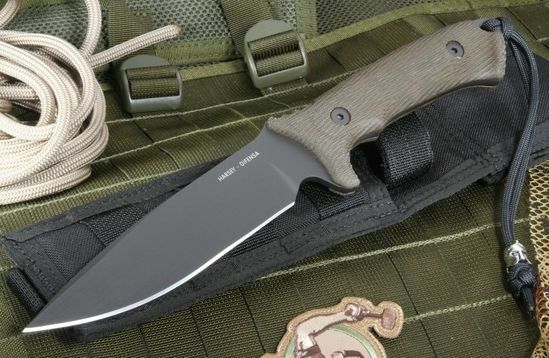 From its blade and coating to its handle and even sheath, the fixed blade is made to be both beautiful and utilitarian without cutting any corners. The 6 1/4 inch long, 3/16 inch wide flat ground blade is made from American-made CPM S35VN stainless steel. The S35VN steel is a high-quality particle steel that is known for its ability to be corrosion resistant, tough and retain an edge. To protect the blade, it is coated with a non-glare black SpartaCoat PVD coating, further ensuring that it lasts. The full length of the knife is nearly a foot at 11 5/8 inches, yet it weighs less than a pound coming in at an easy-to-carry 11.4 ounces. Though it isn't heavy, it is still formidable and won't have any issues dealing with the demands that a good knife has. 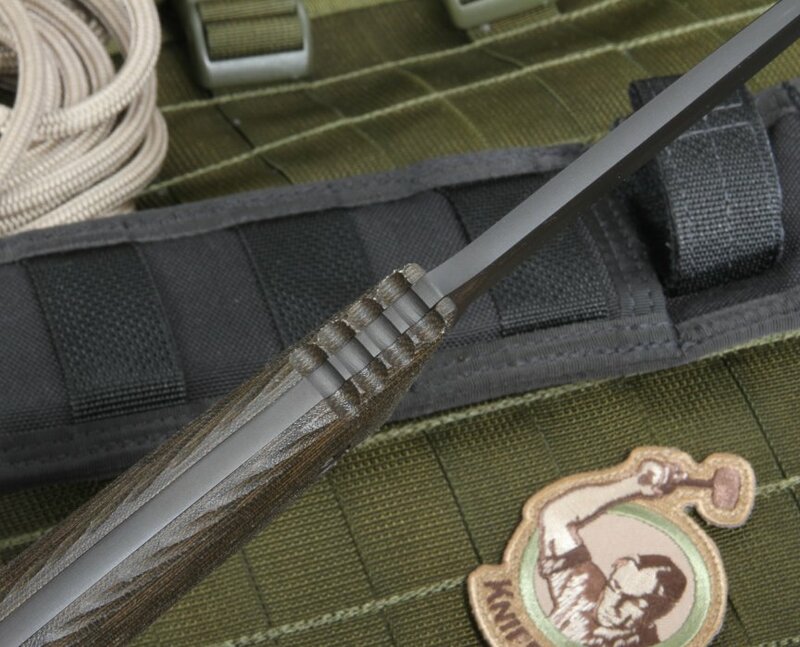 Holding the knife is incredibly comfortable and natural; the green canvas micarta handle is 3D machined using cutting edge technology. For the times that you are carrying the knife but not holding it, there is a lanyard and Kydex lined sheath for secure carrying in the field. This is a solid Spartan fixed blade knife that any serious survivalist, blade aficionado or military/police personnel would be happy to have. The ergonomic handle is a combination of craftsmanship and technology that is not only fun to show off, but supremely natural to hold. Not only will it last a lifetime, but properly taken care of, it will probably last more than one. 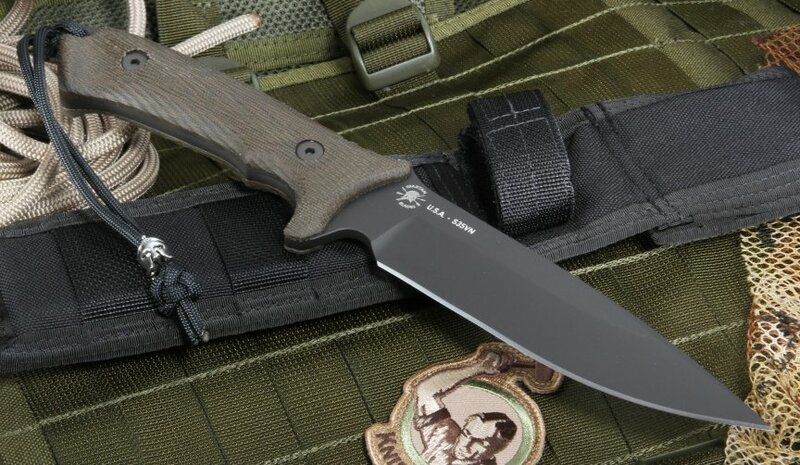 When you purchase a Spartan Difensa from KnifeArt.com, all knives are new and are from an authorized dealer, with free US shipping and complete satisfaction guarantee.